The Military Times news story is here. “It’s difficult to deal with the stress of combat operations–engaging enemies and providing fire support to soldiers on the ground–and then drive home to your family in Base Housing where everything is normal and peaceful. It’s hard to deal with the strain of that dichotomy.” — paraphrase of a recent AF media article about drone pilots. I share the above not in jest, and I’ve taken care to portray the sentiment as accurately as possible. Ok, I get it. I think it might be challenging to come home and play with the kids like everything’s fine if I just saw an IED take out a friendly vehicle and then I launched Hellfires at enemy positions attacking the rest of a convoy in Afghanistan. That would be jarring. The guys in the convoy returning fire and providing medical care to stabilize the wounded until they can get safely evacuated… those men and women might be doing something a bit more taxing, a bit more worthy of recognition. Drone pilots are the easy kill on this issue. We can make fun of the AF “Boy Scout RC Flyer Merit Badge” and all that. But this is meant to include more than just remote piloted aircraft. This can include electronic and cyberwarfare actions as well. Defense Secretary Panetta wants to recognize that we live in a new world with modern technology that is changing and reshaping how we go to war. He wants to ensure we reward the hard work done by these ever-increasing specialized weapon systems and the technicians (and pilots) behind them. Good. I wholeheartedly agree. But it should never trump valorous deeds in combat where your life and the lives of your unit are on the line. The hypothetical convoy is not dealing with the difficulties of war on a drive home to their families and friends in their comfy suburban home. They’re driving on to their Firebase, all the while checking for the next hidden IED or ambush, wondering if they’re going to make it through the next few weeks or months until they get to return home (in order to get ready for the next deployment to the battlefield). Putting the actions of a drone pilot above those people with boots on the ground is a gross disservice to our volunteer force. I’m pretty sure very few people really begrudge the existence of the award. What really burns us is the importance attached to it, another example of the misplaced priorities and completely backwards emphasis on the wrong goals. Yes, that’s the government for you. Yes, that’s a common experience after years in federal service. That doesn’t make it alright. 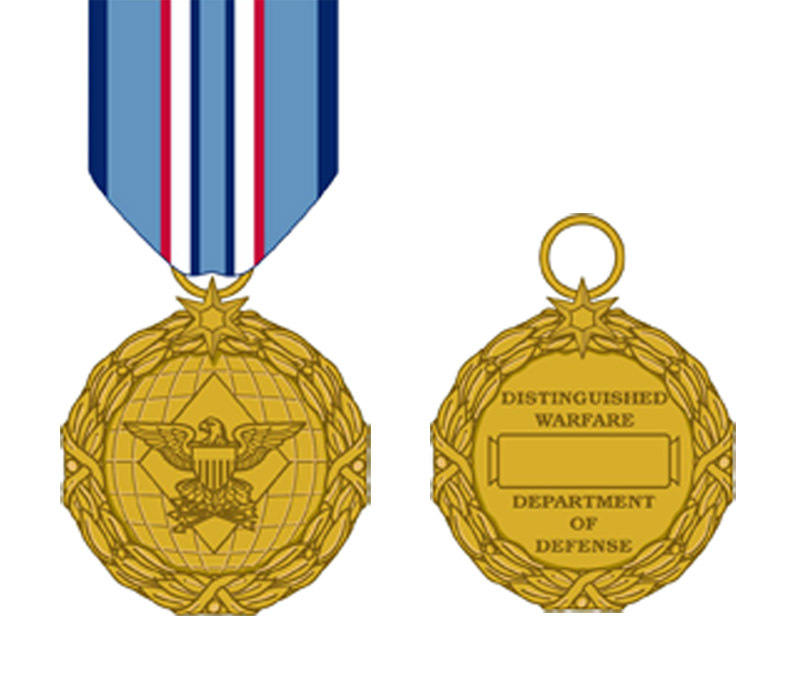 Congratulations, DoD, we’ve distinguished ourselves once again… just not in the way anyone hoped. Previous PostSecond TiradeNext PostWatergate 2.0?